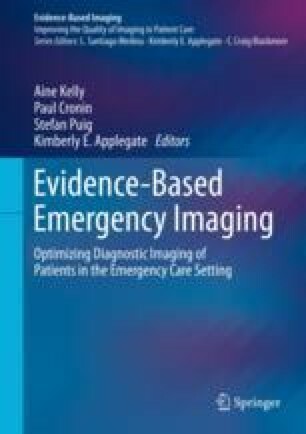 Many imaging studies for urinary tract emergencies are available; however, evidence has been complied to determining studies that are more useful in the acute setting. Non-contrast computed tomography is the best test for the identification of urinary tract stones, and ultrasound may be used to diagnose hydronephrosis and guide management in the emergent setting. Uncomplicated lower urinary tract infections are primarily diagnosed clinically. Imaging may be performed if the clinical situation is uncertain or if other diseases are suspected with contrast-enhanced computed tomography being the imaging test of choice. Imaging is not routinely indicated for upper urinary tract infections unless a complication is suspected; contrast-enhanced computed tomography again is the preferred imaging test to diagnose complications of an upper urinary tract infection. Ultrasound and magnetic resonance imaging are considered first-line imaging modalities for suspected renal colic or complications of urinary tract infections in patients with iodinated contrast allergies or pregnant patients (ultrasound or non-contrast MRI).